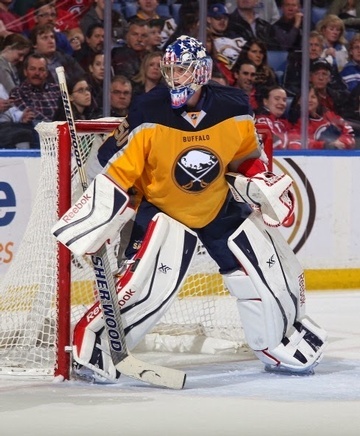 Nathan played professional hockey for 5 years from 2012-2017, including playing in the NHL for the Buffalo Sabres. He also played 5 years for the Kootenay Ice of the WHL, winning the Ed Chynoweth Cup and Playoff MVP in 2010-2011. After retiring due to injuries, Nathan now lives in Cranbrook, BC with his wife Breanne and their son Wesley and daughter Oaklynn. Nathan is committed to bringing quality goalie coaching locally to those in the East Kootenays. During his career, Nathan has worked with some of the best goalie coaches in the world including Francios Allaire and Jim Corsi. This gives him a very dynamic and diverse coaching style that fits the needs of any goalie. Nathan has also been involved at NET360 for the past 4 years. NET360 is a Goalie Development Program that brings in numerous top level/NHL coaches and a group of NHL goaltenders in a "think-tank" environment to provide current and innovative training. NET360 is the first camp of its kind and brings new and exciting ideas and techniques to goaltending. Contact Kootenay Goaltending for Hockey Goalie Lessons across Cranbrook, Kimberley, Fernie, Invermere, Creston,Sparwood. Kootenay Goaltending is run by Nathan Lieuwen.